06th SLJCR 2018 was on 31 August- 01 September, 2018 at the Postgraduate Institute of Science (PGIS), University of Peradeniya. 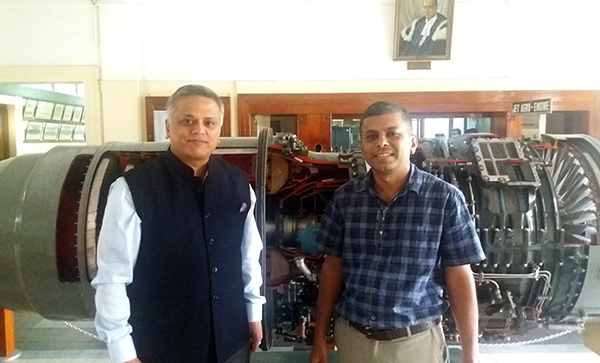 The Inauguration Ceremony was held at the Earl’s Regent Hotel, Kandy and the Technical Sessions were carried out at the PGIS, University of Peradeniya. Sri Lanka – Japan Study Centre, in collaboration with the Japanese Embassy in Sri Lanka, National Science Foundation, Sri Lanka, International Affairs Office and the PGIS, University of Peradeniya organized the whole event. The highlight of the event was the presentation of the Japanese Foreign Minister’s Commendation to Mrs. Kamala Liyanage, Professor Emeritus, Department of Political Science, University of Peradeniya for the recognition of her twenty- six years of effort to strengthen the research partnerships between Sri Lanka and Japan. The event was enlightened by the Chief Guest, Mr. Kenichi Suganuma, his Excellency the Ambassador, Embassy of Japan in Sri Lanka, Kiyotaka Tanaka, Second Secretary of the Embassy of Japan in Sri Lanka Prof. Upul B Dissanayake, Vice-Chancellor, University of Peradeniya, Prof. S.H.P. Parakrama Karunaratne, Deputy Vice- Chancellor, Prof. Sugata Takahashi, Niigata University, Japan, Prof.Ken Kawamoto, Saitama University, Japan Prof. Saliya De Silva, Saga University, Japan, Prof. N.S Cooray, International University of Japan, Dr. Jagath Munasinghe, Chairman, Urban Development Authority, along with many distinguished guests including representatives from the Embassy of Japan, Deans of Faculties, Directors of Units and Centers, Heads of Departments, non-academic members, University of Peradeniya and the staff members from other Sri Lankan Universities. Prof. Dharshana Yapa, University of Peradeniya, Sri Lanka and Prof. Sugata Takahashi, Niigata University, Japan were the chaired the 06th SLJCR for the year 2018.